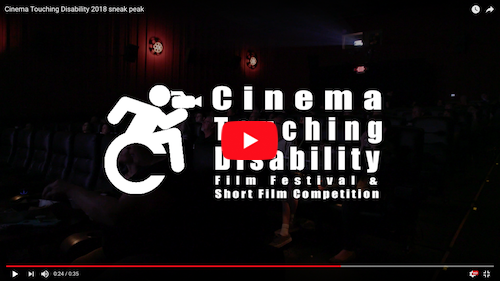 For the past 15 years, we’ve been honored to bring you cross-disability cinema; thanks for making Cinema Touching Disability the longest running and most successful disability film event in Texas! We hope you can join us as we celebrate 15 amazing years! Our scheduled programming is seriously next level. Our full line-up is now posted, with films, live music, featured guests, and more! Take a sneak peak at this year’s Festival program! Plus, be sure to stop by our merch table to purchase your CTDFF swag, including awesome limited edition 15th Anniversary Cinema Touching Disability t-shirts, bags, and shades (design below). Only available at the Fest! Your $10 ticket guarantees a seat and can be redeemed for $10.00 worth of food and drink from the Drafthouse menu. Don’t miss out on the Cinema Touching Disability food and drink specials! Can’t wait to see you at Cinema Touching Disability 2018! ^Financial Support for this project is provided by the Texas Council for Developmental Disabilities, with Federal funds* made available by the United States Department of Health and Human Services, Administration on Developmental Disabilities. *$6,788 (89%) DD funds; $800 (11%) non-federal resources. Be sure and tell CTD that The Gene and Dave Show sent you.